In a study published online May 3 in the journal Science, the researchers report that they used stacks of ultrathin materials to exert unprecedented control over the flow of electrons based on the direction of their spins—where the electron "spins" are analogous to tiny, subatomic magnets. 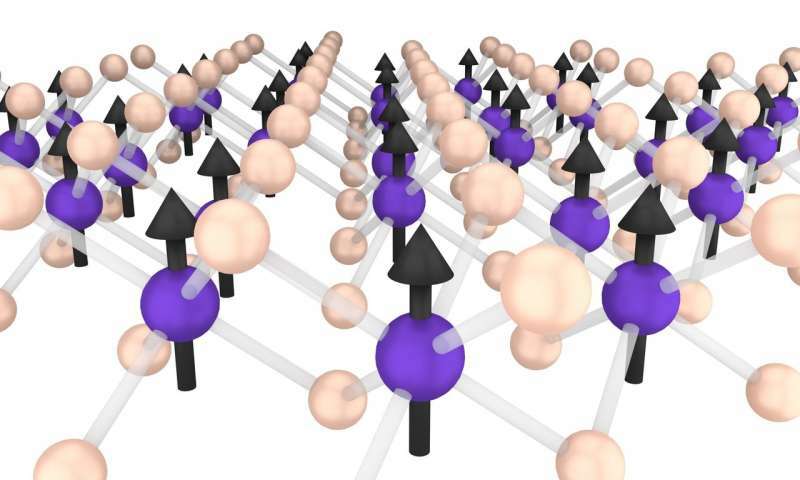 The materials that they used include sheets of chromium tri-iodide (CrI3), a material described in 2017 as the first ever 2-D magnetic insulator. Four sheets—each only atoms thick—created the thinnest system yet that can block electrons based on their spins while exerting more than 10 times stronger control than other methods. 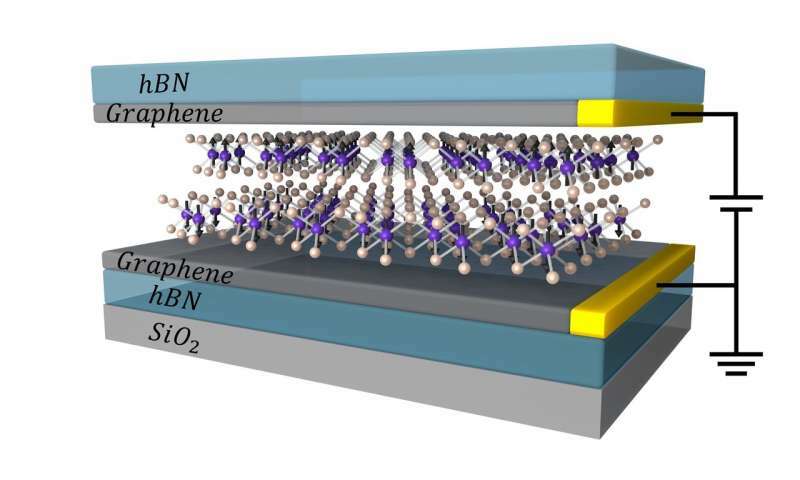 The researchers sandwiched two layers of CrI3 between conducting sheets of graphene. They showed that, depending on how the spins are aligned between each of the CrI3 sheets, the electrons can either flow unimpeded between the two graphene sheets or were largely blocked from flowing. These two different configurations could act as the bits—the zeroes and ones of binary code in everyday computing—to encode information. "The functional units of this type of memory are magnetic tunnel junctions, or MTJ, which are magnetic 'gates' that can suppress or let through electrical current depending on how the spins align in the junction," said co-lead author Xinghan Cai, a UW postdoctoral researcher in physics. "Such a gate is central to realizing this type of small-scale data storage." The researchers' materials and approach represent a significant improvement over existing techniques under similar operating conditions using magnesium oxide, which is thicker, less effective at blocking electrons and lacks the option for multi-bit information storage. photon induced electric field poling will far surpass any other storage yielding Quantum Holographic data storage. 3D Volume with no limits !